Andy is a mass communicator. Someone has described pop art as Dada plus Madison Avenue or commercialism and I think that is a good definition. Dada was started in Zurich and came along in modern art. Dada means nothing. The word “Dada” means rocking horse, but it was chosen by chance. The whole concept Dada is everything means nothing. Pop Art has been said to be the Dada concept put forth in modern commercialization. The decisive result of falling below the line of despair is a pitting of rationality against faith. Schaeffer sees this as an enormous problem and details four consequences in his book, Escape From Reason. First, when rationality contends against faith, one is not able to establish a system of morality. It is simply impossible to have an “upstairs morality” that is unrelated to matters of everyday living. Second, when rationality and faith are dichotomized, there is no adequate basis for law. “The whole Reformation system of law was built on the fact that God had revealed something real down into the common things of life” (Escape From Reason, 261). But when rationality and faith are pitted against one another, all hope for law is obliterated. The third consequence is that this scheme throws away the answer to the problem of evil. Christianity’s answer rests in the historic, space-time, real and complete Fall of man who rebelled and made a choice against God. “Once the historic Christian answer is put away, all we can do is to leap upstairs and say that against all reason God is good” (Escape From Reason, 262). Finally, when one accepts this unbiblical dichotomy he loses the opportunity to evangelize people at their real point of despair. Schaeffer makes it clear that modern man longs for answers. “He did not accept the line of despair and the dichotomy because he wanted to. He accepted it because, on the basis of the natural development of his rationalistic presuppositions, he had to. He may talk bravely at times, but in the end it is despair” (Escape From Reason, 262). It is at this point that Schaeffer believes the Christian apologist has a golden opportunity to make an impact. “Christianity has the opportunity, therefore, to say clearly that its answer has the very thing modern man has despaired of – the unity of thought. It provides a unified answer for the whole of life. True, man has to renounce his rationalism; but then, on the basis of what can be discussed, he has the possibility of recovering his rationality” (Escape From Reason, 262). Schaeffer challenges us, “Let us Christians remember, then, that if we fall into the trap against which I have been warning, what we have done, among other things, is to put ourselves in the position where in reality we are only saying with evangelical words what the unbeliever is saying with his words. In order to confront modern man effectively, we must not have this dichotomy. You must have the Scriptures speaking truth both about God Himself and about the area where the Bible touches history and the cosmos” (Escape From Reason, 263). Before proceeding to Dr. Schaeffer’s basic approach to apologetics one must understand the concept he calls “mannishness” or the tension of being a man. The idea is essentially that no man can live at ease in the area of despair. His significance, ability to love and be loved, and his capacity for rationality distinguish him from machines and animals and give evidence to this fact: Man is made in the image of God. Modern man has been forced to accept the false dichotomy between nature and grace and consequently takes a leap of faith to the upper story and embraces some form of mysticism, which gives an illusion of unity to the whole. But as Schaeffer points out, “The very ‘mannishness’ of man refuses to live in the logic of the position to which his humanism and rationalism have brought him. To say that I am only a machine is one thing; to live consistently as if this were true is quite another” (The God Who Is There, 68). Schaeffer continues, “Every truly modern man is forced to accept some sort of leap in theory or practice, because the pressure of his own humanity demands it. He can say what he will concerning what he himself is; but no matter what he says he is, he is still a man” (The God Who Is There, 69). 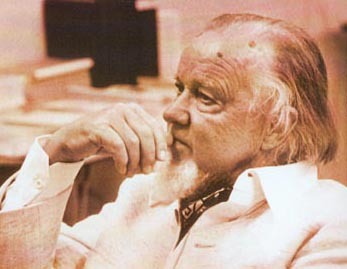 Thus, the foundation for Francis Schaeffer’s basic approach to apologetics is simply to recognize that man is an image-bearer. Man even in his sin has personality, significance, and worth. Therefore, the apologist should approach him in those terms. The apologist must not only recognize that man is made in the image of God; he must also love him in word and deed. Finally, the apologist must speak to the man as a unit; he must reach the whole man (for faith truly does involve the whole man) and refuse to buy into the popularized Platonic idea that man’s soul is more important than the body. 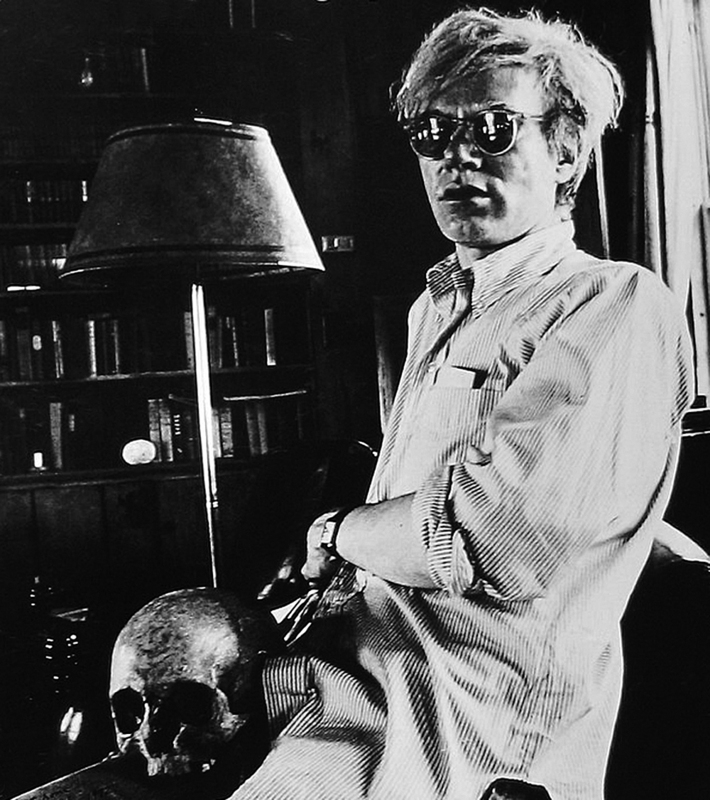 I used to dismiss Andy Warhol as “shallow”–that is, until I dug a little deeper and discovered the underlying coherence of his work. Warhol’s two most famous pieces, the Marilyns and the Campbell’s Soup Cans, highlight the persistent theme of his body of work: the dehumanizing effects of media. He didn’t target pundits; his critique was that mechanistic production and proliferation of an image erodes its meaning and value. In other words, if you see something enough times it doesn’t matter or mean anything to you anymore. The Marilyns are the first and most famous of Warhol’s Celebrity series. They are silk screened prints on canvases, the same image but different colors each time. 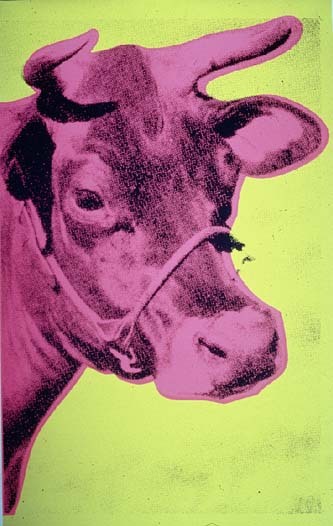 Warhol chose silk screening because it was mechanistic rather than personal. These screens could create hundreds of nearly identical prints if maintained well, but he was more interested in the machine-like process than the mass of products it could produce. He allowed the silkscreens degrade with use, meaning that each successive image was slightly more garbled than the one before, culminating in blocks of color that can barely be recognized as a face. The result? A mechanism that, when repeated, resulted in eventual loss of meaning. That’s the basic process, but that doesn’t explain the subject matter. Why celebrities? Same idea: images of celebrities are so pervasive that they destroy our notion of the celebrity as a person; the human is replaced by a photo increasingly detached from the reality of their humanness, reflecting instead a projected persona. Why Marylin? Because she was destroyed by the machine. Warhol developed the process before he chose the subject; when asked why he used Marylin, he answered that he “got the idea to make screens of her beautiful face” from the news of her recent suicide. The images he created only recapped what had happened in her life: meaning was destroyed by mechanistic production. Other celebrities in the series include Elvis Presley, Jackie Onassis, Michael Jackson, and Mao Tse-Tung, among others. 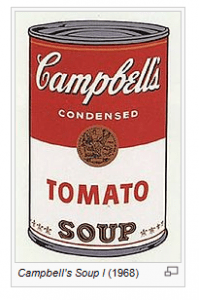 The Campbell’s Soup Cans are another approach to the same issue. He painted a vast series of cans, each a little different from any other, sometimes obviously and sometimes subtly. As he made them he paid close attention to their differences, and if you were to examine each can individually, you would see the subtleties. But you see dozens of cans at once, and however intricate each one might be, all you see is a bunch of identical cans. Warhol repeated this process with other prolific objects, like dollar bills and Coca-Cola bottles. Asked why he painted such repetitiously mundane material, he answered “I just paint things I always thought were beautiful . . . things you use every day and never think about.” (quoted in Victor Bockirs’ book The Life and Death of Andy Warhol) One image, or one object can be interesting, unique, and beautiful. Hundreds can only be a stack of something, whether it’s a stack of cans or a stack of pretty pictures. 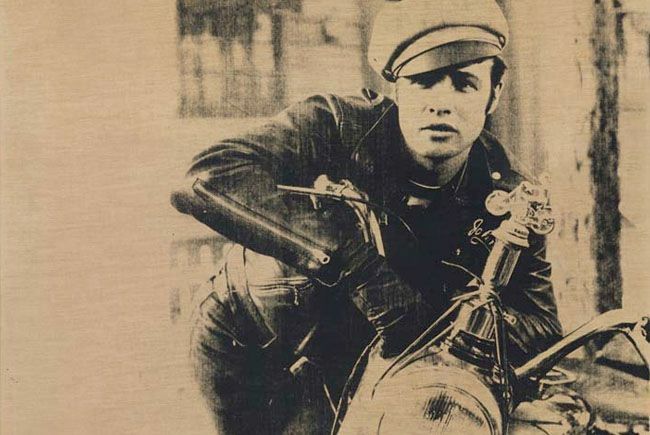 Was Warhol’s critique limited to the culture’s treatment of pictures? I doubt it. ’Image’ can be understood in many ways; broadly defined, celebrities, archetypes, heroes and leaders are all images. The fact that he applied the mechanistic process to pictures is interesting, but I think the real impact lies in his selection of subjects. Mao Tse-Tung, Marylin Monroe, soup cans, coke bottles, car wrecks. What do these things have in common? That we know, and don’t really care. That we have seen them too often to actually perceive them anymore; that proliferation has annihilated meaning. 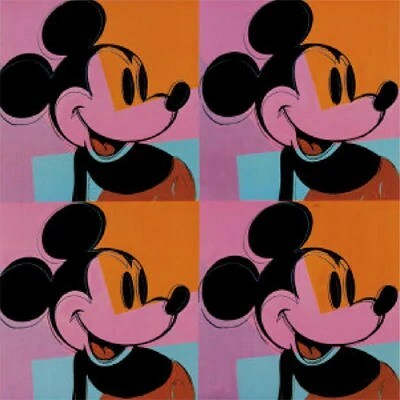 Warhol aimed to draw attention to the mechanism by imitating and parodying it. He called his studio ‘The Factory’. He set up assembly lines. He insisted that “The reason I’m painting this way is that I want to be a machine.” The very absurdity of embracing dehumanization was his social critique. The tragedy is that no one noticed. Think about it. 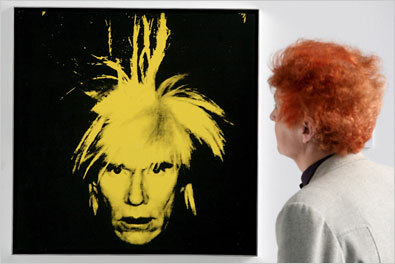 Where have you seen Warhol’s art? Have you seen the originals? Probably not. Most likely you’ve seen posters, T-shirts, tote bags, coffee mugs, calendars, neckties, purses, you name it, mechanically emblazoned with the images Andy created. This time, there is no human pretending to be a machine- it’s actually pure machinery. This time, the images do not critique mechanization- they have been subsumed by it. whatever I do and do machine -like is what I want to do…. IS “POP” A BAD NAME? are now called progenitors of Pop. and aren’t any more. History books are being rewritten all the time. It doesn’t matter what you do. Everybody just goes on thinking the same thing, and every year it gets more and more alike. think, and then everybody will probably be thinking alike; that seems to be what is happening. Today’s featured artist is James Rosenquist. The renowned pop artist sits down for a chat with Florida Trend’s Art Levy. For more go here. James rosenquist is an American artist who combines both pop art and fine art. He creates his work using techniques such as silkscreen printing and collage. His collages are composed in a way that the individual objects make sense together and tell a story. 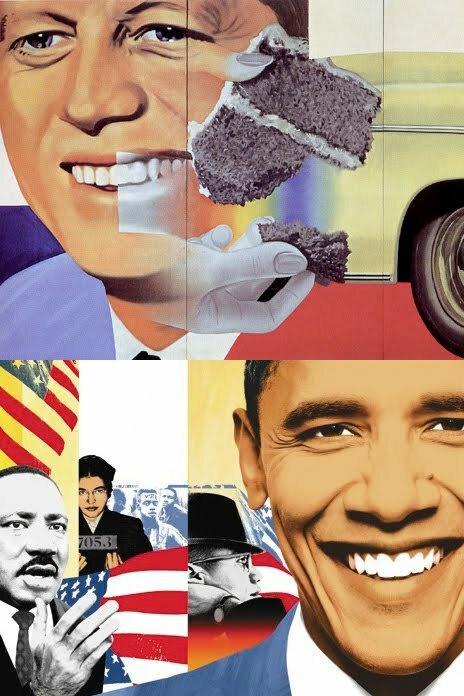 His print ‘president elect’ uses the image of Kennedy’s face from his campaign poster, which is another example of appropriation. Rosenquist said he was interested in people who advertise themselves. Premiering MAY 22ND, 2013 on HBO – World reknowned painter James Rosenquist mentors three young artists as they collaborate on a piece together, and discuss pursuing life as an artist. James Rosenquist is world renowned for his large-scale paintings that combine images from advertising and mass media with vibrant color and abstraction. Rosenquist studied art at the University of Minnesota, and at the Art Students League in New York City. In the 1950s, he painted billboards to make money. In the 1960s, Rosenquist was included in several group exhibitions which established pop art as a movement. 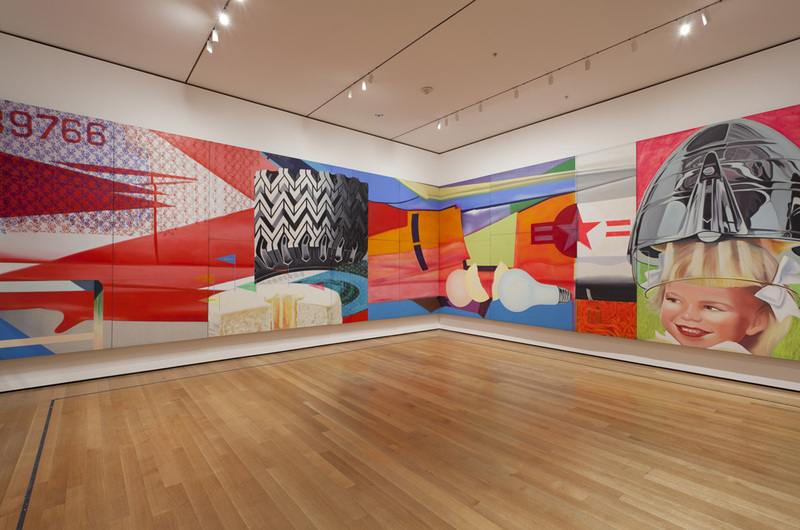 Rosenquist achieved international acclaim with his monumental painting F-111 (1964–65), often considered one of his most important works, which was first shown in 1965 at the Leo Castelli Gallery. His work has been exhibited widely in the United States, Canada, and Europe since 1968. The most recent touring exhibition of his work, James Rosenquist: A Retrospective, was organized by the Solomon R. Guggenheim Museum in 2003. James Rosenquist was born in Grand Forks, North Dakota. When he was a high school student he won a scholarship to study at the Minneapolis School of Art. He was further educated at the University of Minnesota and the Art Students League in New York. He also attended drawing classes organized by Jack Youngerman and Robert Indiana; at the same time, he was designing store windows and painting billboards to earn a living. This commercial experience led decisively to his particular pop style. His most famous painting, F-Ill, is eighty-six feet long and shares many of the characteristics of a billboard. The preference for anonymity in his subjects carried through to the print media. 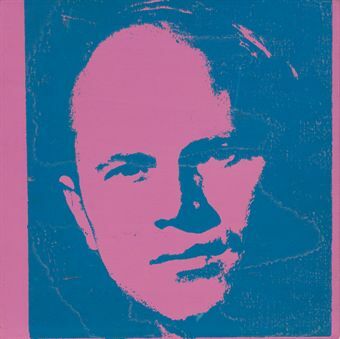 Rosenquist has made a number of screen prints and etchings, but most of his graphics are lithographs. His prints have frequently been exhibited in galleries and museums and at biennials internationally. They can be found in many permanent collections including those of the Museum of Modern Art, New York, the Musee d’Art Moderne, Paris, and the Art Gallery of Ontario, Toronto. 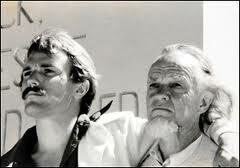 1933 Born November 29 in Grand Forks, North Dakota. Parents Louis and Ruth Rosenquist, of Swedish and Norwegian descent. Family settles in Minneapolis, Minnesota in 1942. 1948 Wins junior high school scholarship to study art at the Minneapolis School of Art at the Minneapolis Art Institute. 1952-54 Attends the University of Minnesota, and studies with Cameron Booth. Visits the Art Institute of Chicago to study old master and 19th-century paintings. Paints storage bins, grain elevators, gasoline tanks, and signs during the summer. Works for General Outdoor Advertising, Minneapolis, and paints commercial billboards. 1955 Receives scholarship to the Art Students League, New York, and studies with Morris Kantor, George Grosz, and Edwin Dickinson. 1957-59 Becomes a member of the Sign, Pictorial and Display Union, Local 230. Employed by A.H. Villepigue, Inc., General Outdoor Advertising, Brooklyn, New York, and Artkraft Strauss Sign Corporation. Paints billboards in the Times Square area and other locations in New York. 1960 Quits working for Artkraft Strauss Sign Corporation. Rents a loft at 3-5 Coenties Slip; neighbors include the painters Jack Youngerman, Ellsworth Kelly, Agnes Martin, Robert Indiana, Lenore Tawney, Robert Rauschenberg, Jasper Johns, Barnett Newman, and the poet Oscar Williamson. 1961 Paints Zone (1960-61), his first studio painting to employ commercial painting techniques and fragmented advertising imagery. 1962 Has first solo exhibition at the Green Gallery, New York, which he joined in 1961. Early collectors include Robert C. Scull, Count Giuseppe Panza di Biumo, Richard Brown Baker, and Burton and Emily Tremaine. 1963 Paints mural commissioned by Philip Johnson for the 1964 New York World’s Fair, New York State Pavilion. Exhibits in New York in Americans 1963 at the Museum of Modern Art and in Six Painters and the Object at the Solomon R. Guggenheim Museum. 1964 Joins the Leo Castelli Gallery, New York. Exhibits with the Galerie Ileana Sonnabend, Paris, France, and the Galleria Gian Enzo Sperone, Turin, Italy. Begins working on lithographs at Universal Limited Art Editions, West Islip, Long Island. 1965 Exhibits F-111 (1964-65), a site-specific wrap-around painting, in his first solo show at the Leo Castelli Gallery, New York (April-May) and then at the Jewish Museum, New York (June-September). Robert C. Scull purchases F-111, and it tours eight major European museums through 1967. 1966 Begins a series of walk-through, ceiling-suspended paintings on clear polyester film (Mylar). 1967 Moves to Long Island, New York. Exhibits a room of polyester film paintings including Forest Ranger (1967) at the Palazzo Grassi, Venice, Italy. F-111 is exhibited at the 9th São Paulo Bienal, Brazil. 1968 Has first retrospective exhibition, at the National Gallery of Canada, Ottawa. F-111 is exhibited at the Metropolitan Museum of Art, New York. Forest Ranger group of paintings is exhibited at the Galerie Ileana Sonnabend, Paris. 1969 Exhibits his second site-specific wrap-around painting Horse Blinders (1968-69) at the Leo Castelli Gallery, New York. F-111 is exhibited at the Hayward Gallery, London, England. 1970 Exhibits an installation of painted and reflective panels with dry ice fog, Horizon Home Sweet Home (1970), and the paintings Area Code (1970) and Flamingo Capsule (1970) at the Leo Castelli Gallery. 1971 Works on the Cold Light Suite of prints at the University of South Florida’s Graphicstudio in Tampa, Florida. 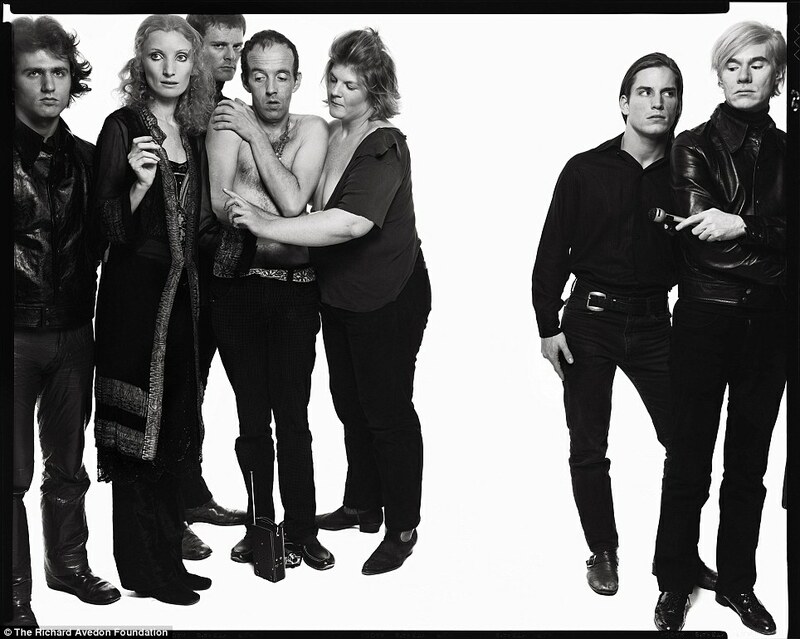 1972 Has retrospective exhibitions at the Wallraf-Richartz-Museums, Cologne, Germany; the Whitney Museum of American Art, New York; and the Museum of Contemporary Art, Chicago, Illinois. 1973 Rents studio in Ybor City, Florida. 1974 Lobbies in Washington, D. C., with Marion Javits and Robert Rauschenberg for legislation protecting artists’ rights. 1976 Builds a house and studio with the architect Gilbert Flores in Aripeka, Florida. Receives a commission from the State of Florida for two murals for the new state capitol building in Tallahassee. 1977 Purchases building on Chambers Street, New York. Paints a number of 15-foot works in Florida for exhibition at the Leo Castelli Gallery, 420 West Broadway, New York. 1978 Receives appointment to six-year term as member of the National Council on the Arts, Washington, D.C. F-111 is exhibited at the 38th Venice Biennale, Italy. 1980 Paints Star Thief (1980), the first of five 17′ x 46′ paintings. F-111 is presented here as it was first exhibited at the Castelli Gallery in 1965, now also alongside a group of collages the artist made in preparation for this monumental composition. Rosenquist was well acquainted with painting on this immense scale: before becoming an artist he had earned a living as a billboard painter in New York City. Interested in the phenomenon of peripheral vision, Rosenquist wanted the painting to create an immersive environment that would heighten the viewer’s awareness of his or her own position in space. He cited artistic precedents for this ambition in works such as Claude Monet’s Water Lilies and the large horizontal paintings by Abstract Expressionist artists Jackson Pollock and Barnett Newman. The installation is made possible by BNP Paribas. Party at Andy Warhol’s studio, The Factory, in New York City, 1964. ARIPEKA — In only a few hours, a home, two studios, years of memories and artwork of untold value were reduced to smoldering rubble. But a day later, the conversation kept drifting toward a November art show in New York City. The six staff members eagerly lifted their hands. But renowned artist James Rosenquist kept one hand around a glass of pale lager and the other on his paint-spattered white jeans. One of the world’s most famous painters, the 75-year-old Rosenquist faces an uncertain future after a brush fire swept through his home, office and studio Saturday. A second home also was lost, officials said. No one was injured. The blaze touched off in the remote area about 3 a.m., but members of the Hernando Beach Volunteer Fire Department said they had the fire contained and called off a crew responding from the state Division of Forestry. About 12 hours later, the blaze flared up again and quickly ripped through the thick brush between Indian Bay Road and Osowaw Boulevard. Crews were trying to protect the structures but had to pull out once they learned about the volatile materials stored in Rosenquist’s studio. After firefighters retreated, a propane tank in the artist’s studio exploded. Much of the fire had been contained by Sunday afternoon. Firefighters said the 62-acre blaze was suspicious and they were investigating the cause. Unusually dry weather conditions, the isolation of the area and the proximity of Rosenquist’s property to the forest probably contributed to the extensive damage. That was of little consolation to Rosenquist and residents of the tiny, arty gulf-front community that straddles the Hernando-Pasco county line. Hours after the fire, dozens gathered at local grocery store and bait shop Norfleet Fish Camp to gab about the blaze and share their sorrows over a bucket of fried chicken and several bottles of wine. With roads closed by officials, friend Carl Norfleet took Rosenquist out into the Gulf of Mexico by boat so they could see what was happening. Rosenquist had been traveling around the state and returned to Aripeka just in time to see his home burn down. Rosenquist settled in Aripeka in 1976, building a stilt house and small studio shortly after his first wife and son recuperated from a car accident in Tampa. He is known as “Jim” to most of the locals, just a Midwestern guy who enjoys an alcoholic beverage and putters around town in jeans and a T-shirt. Known for billboard painting, fine art and interpretations of the pop art movement, Rosenquist’s best-known local work might be the giant Band-Aid sculpture that he donated to All Children’s Hospital in St. Petersburg. He has also collaborated with Graphicstudio, the prestigious atelier at the University of South Florida. As of now, Rosenquist has no plans to go. He said he will remain in Aripeka and would like to rebuild his home and studios. By Sunday afternoon, Rosenquist had already moved into a guest home built on towering stilts across the street from the simmering ruins of his old house. He was surrounded by his wife, Mimi Thompson, and a bubbly group of assistants, all of them pondering what was lost. After losing some of his work in the devastating no-name storm of 1993, Rosenquist figured he had suffered through his share of disasters. This time, Rosenquist isn’t quite sure where or how the recovery will start. In particular, he lamented the loss of a mural commissioned by the government of France that measured 133 feet high by 24 feet wide. But his assistants were already talking about arrangements for the November show in New York, going over plans for turning the guest home into a work space and encouraging him to get started as soon as possible. Rosenquist was not prepared to commit to anything. If only for a day, the future could wait. Joel Anderson can be reached at joelanderson@sptimes.com or (352) 754-6120.